Home→Upcoming Events→A Night of Noir: Dark City Lights Book Launch is May 7! 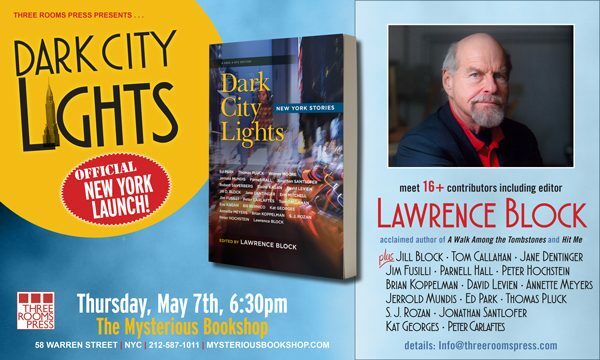 We’ll be joined by editor Lawrence Block, and other Dark City Lights contributors including Ed Park, Jerrold Mundis, Jim Fusilli, SJ Rozan, Peter Carlaftes, Kat Georges, Parnell Hall, David Levien, Annette Meyers, Jonathan Santlofer, and many more. For more information about the launch, email info@threeroomspress.com or RSVP on Facebook.